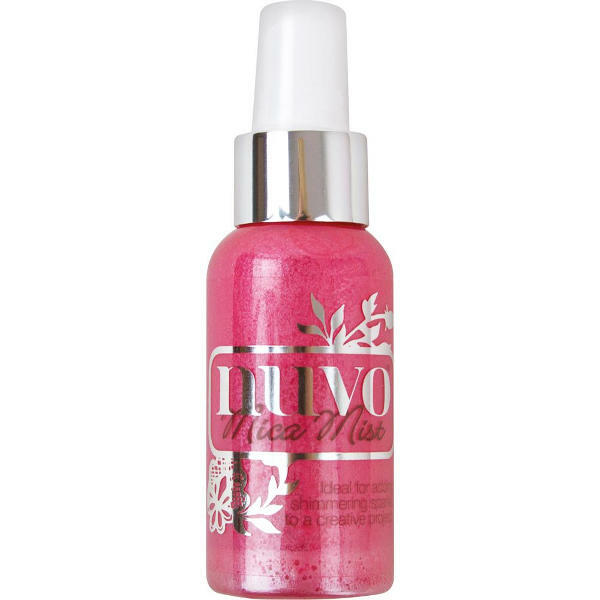 Nuvo Mica Mist Spray is ideal for adding that shimmering sparkle to your creative project. This unique engineered solution contains mica powder and a colored pigment which adheres to the surface. Spray directly onto light or dark card, through a stencil or over an existing embellishment to produce a beautiful lustre effect. Bottle contains 2.7 fl. oz. (80 ml).